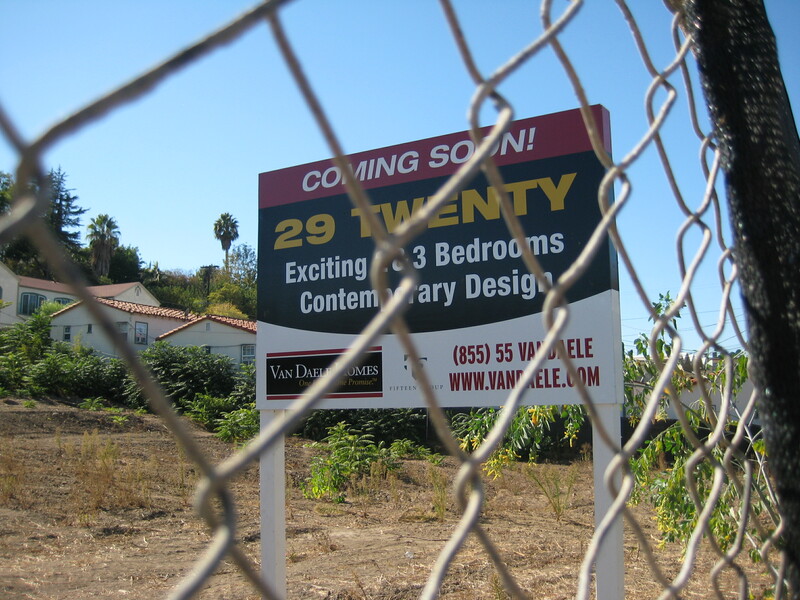 Mystery lots update | Real in L.A.
Two Silverlake construction projects would appear to be moving forward. Mostly the progress is illusionary. 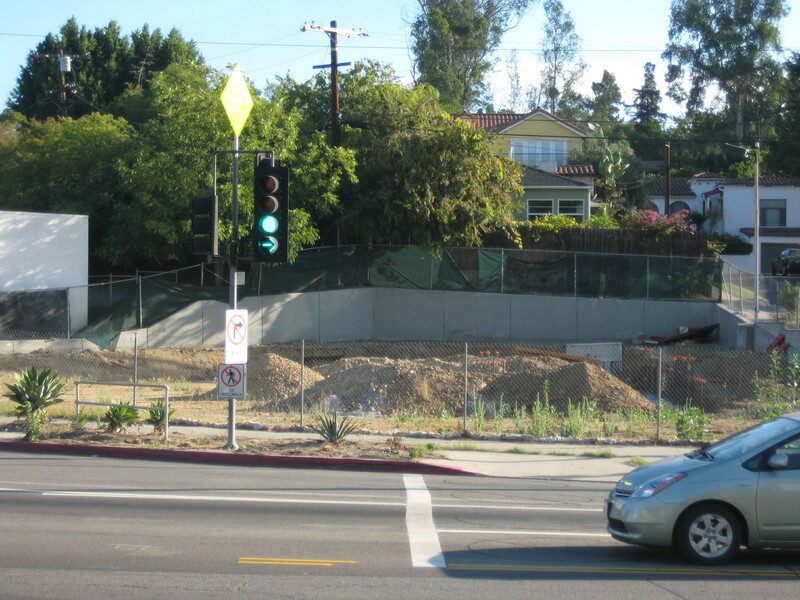 Months ago, workers dug trenches and poured footers at the plot where Glendale Blvd. makes a 90 degree turn and Rowena begins. And then . . . nothing. Dirt, concrete, rebar left as it was. Unconfirmed rumor: The developers are behind on payments. Then there’s the site of the late, lamented Coffee Table on Rowena. Developers put up a large sign announcing “exciting” new construction “coming soon”; that was, oh, maybe six months ago. Other than brush clearing, nothing else has been done. You are currently reading Mystery lots update at Real in L.A..